Dr. med. vet. 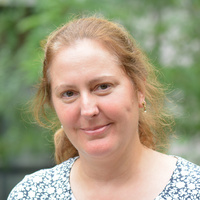 Britta Bausch joined The Interface Group in August 2018 as a Post-Doctoral researcher. She studied veterinary medicine at the Justus-Liebig University Giessen (Germany) and did her PhD thesis at the University Hospital Giessen. She specialized in laboratory animal medicine at the University of Giessen and at the Charité Universitätsmedizin Berlin.